The Centre today reportedly put up strong opposition against the maintainability of Mr. Subramanian Swamy’s petition challenging the constitutional validity of provisions under the Indian Penal Code, which penalize hate speech and writing. Solicitor General Ranjit Kumar contended before the Bench comprising Justice A.R. Dave and Justice A.K. Goel that the plea was in fact a personal interest litigation, since a non-bailable warrant had already been issued against Mr. Swamy. The Bench then inquired whether converting the warrant from non-bailable to a bailable one would satisfy Mr. Swamy’s cause. Refuting such contentions, Mr. Swamy brought to the notice of the Bench that his petition had already been considered by the previous bench headed by Justice Ranjan Gogoi which has agreed to examine the constitutional validity of 153A of IPC. He informed the Court that he had already filed a petition for quashing of the non-bailable warrant before the Gauhati High Court. Noticing the disinclination of the Bench towards hearing the matter, Mr. Swamy urged the matter to be posted before the same bench led by Justice Gogoi, which had heard the matter earlier and had issued a notice. 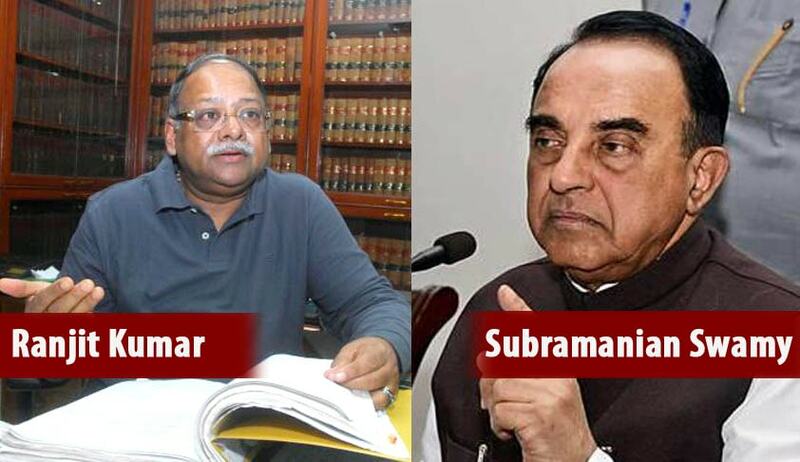 Mr. Swamy was however informed that the matter was now listed before this Bench due to change of roster. It granted time to Mr. Swamy to think about raising the issue before the High Court and posted the case for further hearing on July 11. Last year, Mr. Swamy had challenged Sections 153, 153A, 153B, 295A, 298 and 505 of the Indian Penal Code, relating to hate speeches, arguing that these provisions violate Fundamental Rights of free speech and expression. He asserted that these provisions are often misused by the authorities to bother individuals. Mr. Swamy’s actions were triggered after an Assam Magistrate’s issued him summons on the basis of some newspaper reports that the BJP leader had carried “garbled motivated versions” of a speech he had given while referring to the Ayodhya row. He claims that the Karimganj Magistrate issued summons against him without even having a proper inquiry into the speech that he had deliver at Kaziranga University. You may read the LiveLaw article here.